AYC K1169 SALOON Styling Chair - The Saloon Styling Chair is a great twist on an classic vintage design. It is equipped with beautiful detailing and stitching. It features a removable seat cushion and sturdy base. 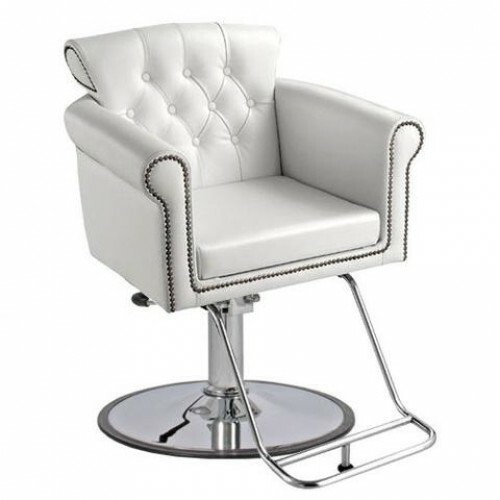 The Saloon is a designer chair with that features chrome base, footrest and lever. The removable seat cushion makes is easy for cleaning and maintenance. 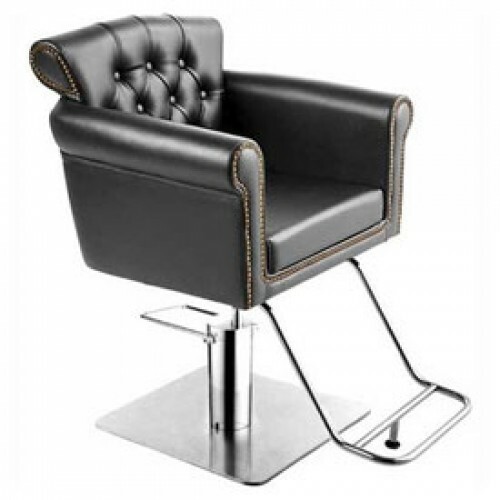 This salon chair comes complete with a U-shaped extra wide footrest with adjustable foot peg for additional client comfort. 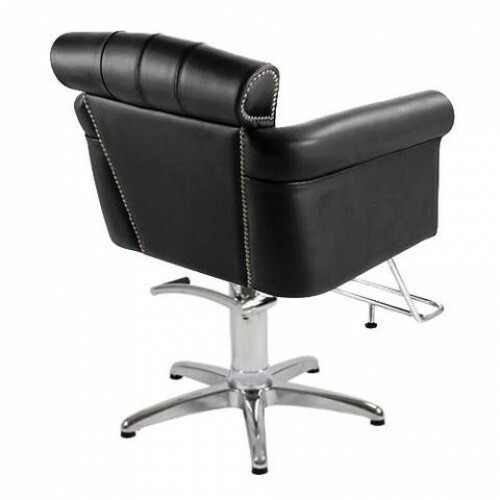 Dimensions: Armrests inside dimension: 20", armrest outside 30"
Back cushion height: 17" Seat cushion depth: 18"